I have 5 articles of 600 words to be posted on sites relevant to cryptocurrency or similar to https://steemit.com/. I need all live links with report. 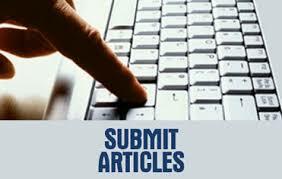 I will send u articles to be posted. You will only submit them to sites we finalize. Please let me know sites u selected. i will publish your article best google ranking website, with high da pa.
i will provide you best service if you want you can text me. dear sir, i am waiting for you. i can do this job.i have more niche relevant backlinks site.most powerfull niche relevant seo backlinks for fast google rank in your site. cordially thanked to you . i would like to do your task wise and precisely.as i have an experience in this field for more than three years. i think i am fit for your job. i think you would enough to give me your project.